A (not so) new favourite! 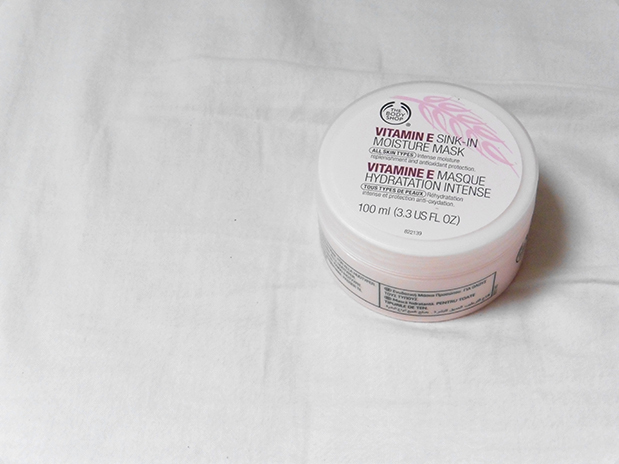 Suzie from Hello October showed The Body Shop Vitamin E Sink-in Moisture Mask (quite the mouthful that) in a haul back in May and then shared in her May favourites shortly after. I decided to give it a go despite not really getting on with face masks in the past. I was in a period where my skin was in desperate need of some moisture, and this seemed like a good solution. It was. This mask is so moisturising and you only need to put the tiniest bit on. I actually use it as a face cream sometimes and just put even less on. 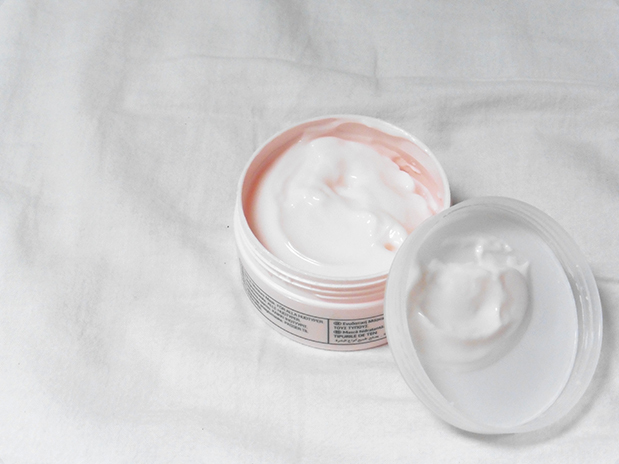 It has a mild feeling and scent, and it always leaves me feeling refreshed and like I’m really taking care of my skin. As I’m sure you’ve gathered, I think this product is absolutely amazing, and I’m so glad I have a big pot to go through. However, one of the greatest things about it, for me, is that you can just leave it on. If I know I’m spending the whole day inside, I’ll put it on in the morning and then maybe give my face a gentle wipe down later in the day to get rid of what still hasn’t sunk in. If I do decide to take it off, it is easy to remove, and it doesn’t stain white washcloths. An all around winner for me! I’m sure the pot I currently have will last me just about forever, but if I ever run out, this will definitely be one of the products that I repurchase.